Google has begun inviting internet ad agencies into their display ad buying product called Google Ad Planner. Google Ad Planner is still in Beta. Google Ad Planner’s available US internet audience is 230 million visitors via 160 billion page views. For brands looking to broaden their web reach and add lift to sales both online and off, Google’s Ad Planner product offers media buyers a simplified internet display advertising research and media buying tool. The following audience segments are available for brands planning to target and increase their message touch points online. You can request a Beta invite at Google Ad Planner. I decided to apply for the Google Adwords Seminar leader position again. Their latest application was slightly different from the first one in December of 2005. After looking over my original application, I am surprised my application was even given serious consideration. Two Google Adwords Seminar Leaders were chosen in early 2006. I believe they have since presented Google Adwords seminars to over 1,000 attendees. Spending the last year and a half preparing for and writing my book: For Sale By Google – How To Make Money on the Internet Selling Your Products Using Google Adwords and Search Engine Marketing Strategies has given me an entirely different perspective on the paid search business and search in general. I believe my answers below do in fact reflect that change in perspective. 1) How long have you been an AdWords advertiser? 2) Do you have experience with other advertising channels? If so, please explain. Yes, since 1989 I have been a direct marketing consultant. I have developed marketing campaigns through nearly every form of advertising media available to the small and medium size business. I have created and ran advertising campaigns in radio, television, magazines, newspapers, yellow pages and direct mail. No other recognized form of media compares to Google paid search. Word of mouth marketing out performs paid search but the process has yet become measurable and thus manageable. Since the advent of Adwords, I have focused exclusively on producing results for myself and clients through reaching the search audience through paid search. I have personally managed the production of 100 million impressions and one million clicks. 3) Do you have teaching or training experience? If so, please explain. I spoke several years ago about the power of Google Adwords to business audiences in Atlanta, GA and Scottsdale, AZ. I have since accepted a contract to write a book about my Google Adwords experience for John Wiley and Sons. The book, For Sale By Google – How to Make Money Selling Your Products on the Internet Using Google Adwords and Search Engine Marketing Strategies is nearing completion. As you may gather from the title, the book targets the small to medium size business market with an emphasis on how they can reach their audience more cost efficiently with Google Adwords as compared to their other media options while generating leads and sales in the process. I believe my direct marketing background which is rooted firmly in advertising accountability and return on investment helps me give proper perspective to the small business owner who needs guidance when it comes to choosing where best to place their advertising dollars. 4) Do you or any of your family members work in the internet search and advertising industry, or for any company that you might reasonably consider to be a direct competitor to Google? If so, please explain. 5) Resume: please paste your resume or a URL linking to your resume into the box below. As a self-employed marketing consultant, I don’t have a resume per se. However, I do however keep a Curriculum Vitae of the projects and deals I am working on. A. If I am not constantly teaching others all that I have learned and I continue to learn about Google Adwords, I will be doing both them and my self a disservice. B. I believe in the power Google Adwords has to transform the small business and the small business owner’s life! I made a commitment to understanding and mastering Adwords to the best of ability long before it became a requisite for being competitive in the market. Being ignorant of any Adwords feature. Because it rationalizes demand into language. a) Introduction (max 1 min.) – Tell us who you are, when you first started using AdWords, and why you want to be an AdWords Seminar Leader. b) Lesson (max 7 min.) – Choose one of the following two topics and create a lesson as if it were a partial session of an AdWords Seminar. You may use visual aids, but please do not repeat or reuse any materials from the AdWords Learning Center. * OPTION 1: Your audience is a group of local small business owners with small advertising budgets. They are concerned about competing with large, national advertisers who are also advertising on AdWords. Explain to them how AdWords pricing works, and which AdWords features can help them advertise effectively in this competitive environment. * OPTION 2: Your audience is a group of new AdWords advertisers. During the Q&A session of the seminar, one advertiser asks: “I’ve been advertising on AdWords for a few weeks. I’ve spent a few hundred bucks, but I’m frustrated because I can’t get my ad to show up on the first page of search results. I’m always in 7th or 8th place on the second page. How do I get my ad to show up on the first page?” How would you address his question? David Carradine is appearing in Yellowbook.com commercials airing on national cable channels. I grew up in the 70’s watching Carradine as Kung Fu. Mr. Carradine attended a party at my now in-laws home in the early 1980’s where he sang and played the piano. I met his brother Keith Carradine backstage after one of his performances as Will Rogers in the Will Rogers Follies. It appears Yellow Book has employed Carradine to reach and connect with baby boomer men like myself. My demographic theoritically has the decision making power within small to medium size businesses to make internet yellow pages buying decisions. 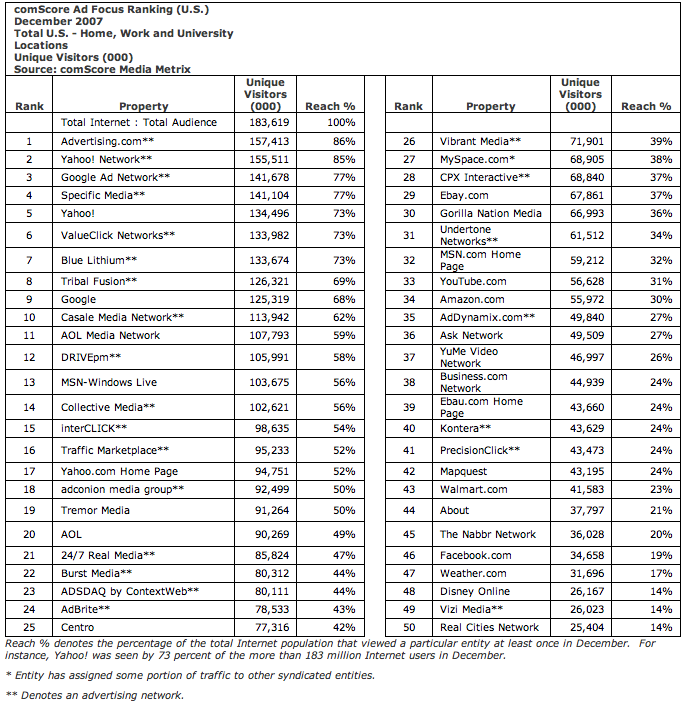 How many new internet yellow page advertisers does Yellowbook.com acquire for each $1,000 spent via cable television advertising? Can a Yellowbook.com internet yellow pages advertiser expect to get a higher or lower rate of return from their investment compared to what Yellow Book gets for each $1,000 it spends on cable advertising?